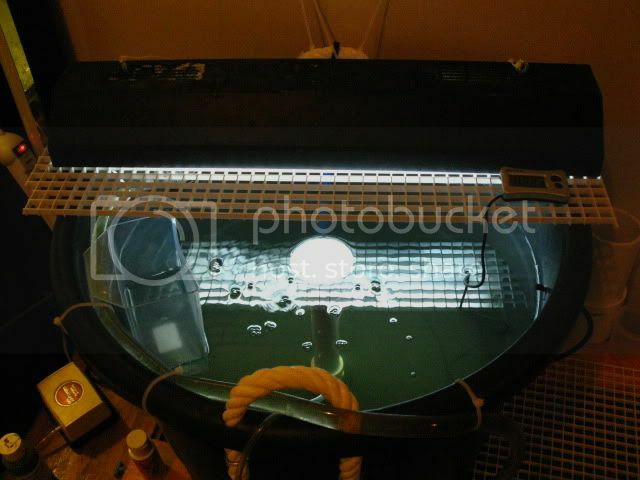 Marine Ornamental Fish & Invertebrate Breeders • View topic - BRT's You have them, lets see them. BRT's You have them, lets see them. I have switched from my kreisel to a BRT and I am just not certain if I have done it right. I would like to see pictures of everyones set ups and brief discriptions of how it works. Im sure everyone has put thier own twist on thier set ups and I think this could make a interesting discussion piece. Mine is a pretty simple set up, Hopefully I did it right. I could not find any pictures or info on them when I did it. I got a 18gal black round tub. Drilled a hole in the center. 1" drainline with a 2" reducer on the top to increase surface area. I have 100micron mesh covering the top. Underneath the drainline I keep a sieve to collect rotifers for re-enrichment. 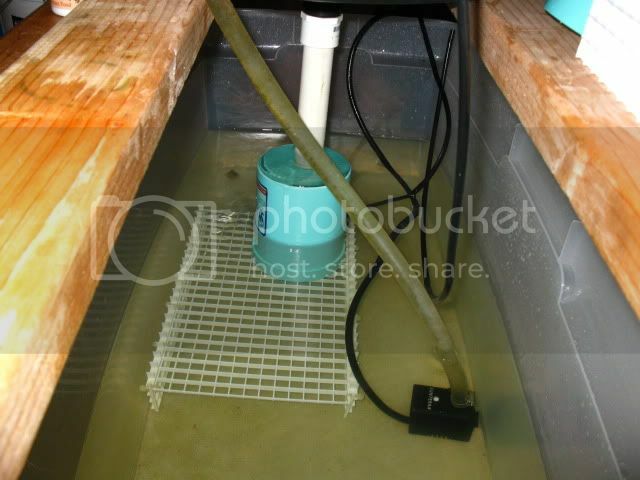 The sump is just a large rubbermade container with a small return pump. I have the flow reduced way down to almost a gentle trickle and a airline bubbling up next to the drain. I had to move the heater to the BRT itself instead of the sump because the flow was so low that the tub would be much cooler than the sump. I would like to think it is working but Mandarin larvae are so small that once I release them into the tub I never see them again. I know they cannot go down the drain. Here is a video from when I first set mine up and giving it a test run with the flow all the way up. When I get home tonight I will take pics of the current set up. Re: BRT's You have them, lets see them. I'm not sure if right or wrong are the words. Does it work well for you? BRT (black on inside) on left. 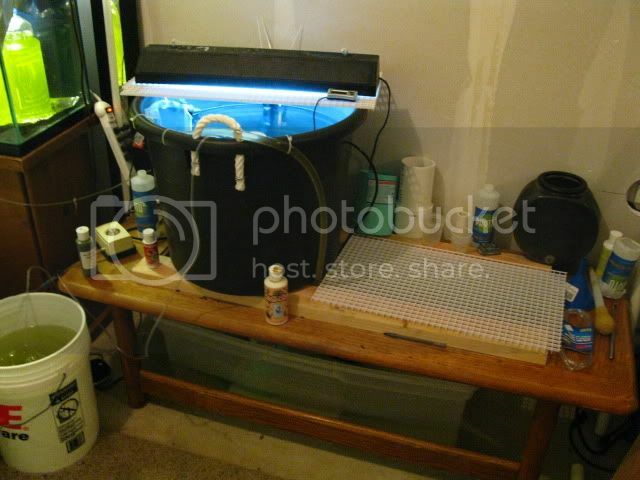 The little tupperware in the middle is a water bath for egg incubation with larval tank water. Right side is just an old water bath right now. The space is there for a second BRT. The second shelf is available for a couple of 10 gal. tanks. My original thought was to float goldfish bowl kreisels in there. The return comes in and straight down the middle to within an inch or less from the bottom of the tank. 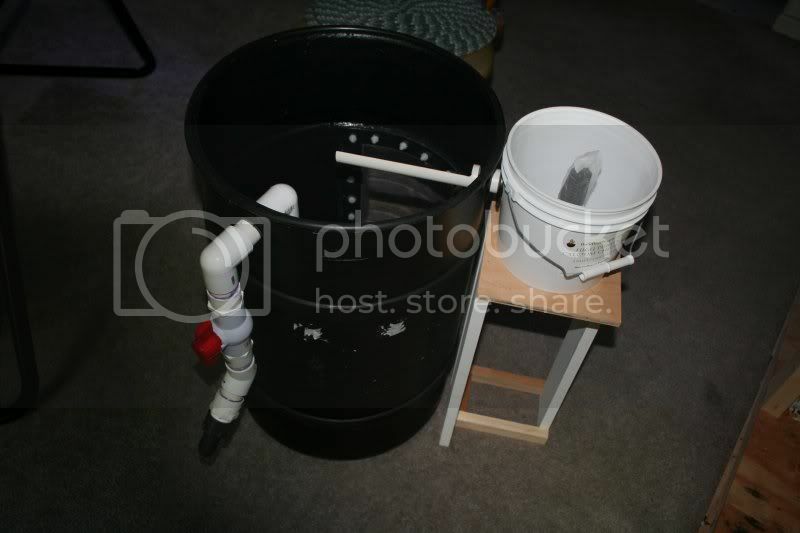 The incoming water hits the bottom and shoots out to all sides to create a circular flow all the way around the tank. The overflow is high on the side and is pipe covered with mesh screens. All of that section is moveable and I have different screen sizes for different purposes. Thats a interesting design. Whats the horizontal pipes purpose? I like the idea of the return blowing into the bottom of the tub. Keeping everythign from settling. I might have to do that on my next tub design. Heres picks of mine. An old coffe table with the glass removed acts as my stand. I was lazy and didnt feel like suspending the lights so I just used eggcrate to difuse it some. 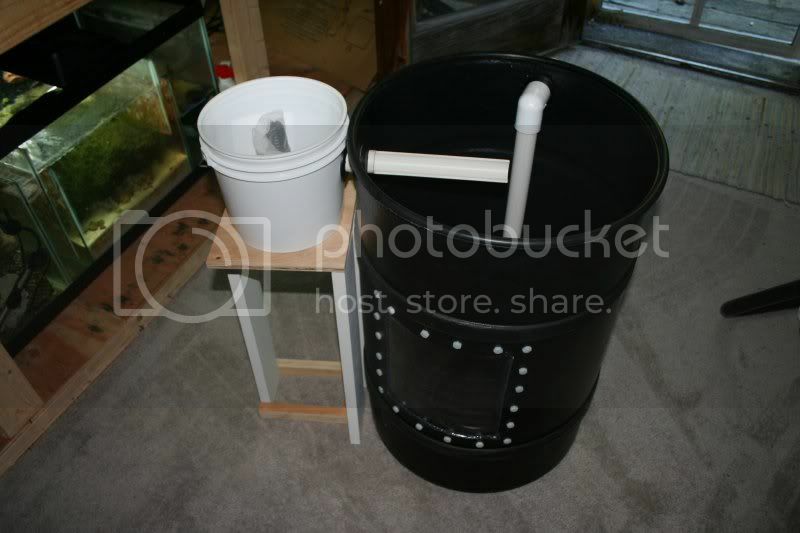 Fish container on the left is for incubating eggs. I have 3 days worth of spawns in there waiting to be released. Return line has a valve and fitting from a nano pump on it. Works pretty good. If I open it about half way I get a good circular motion going as seen in the video in the OP. 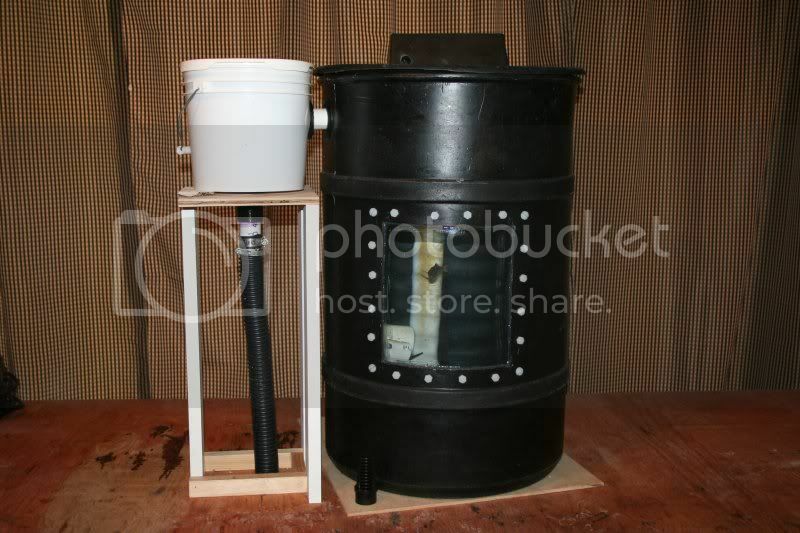 Sump is as simple as it gets. 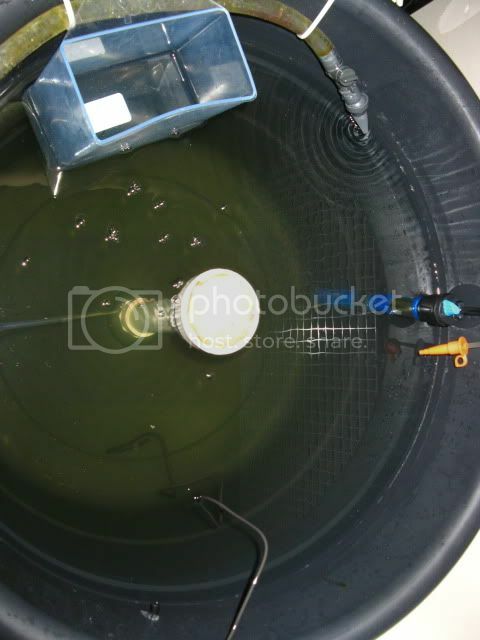 I have the sieve under the drain line to collect rotifers for Re-enrichment. Return pump and hidden behind the seive is a power head to keep decent flow down there. Whats the horizontal pipes purpose? They are surface skimmers. I can raise and lower them as you see there, pull the pipe off, and clean the screen without stopping the water. My usual configuration is 53 micron on one pipe to retain rotifers and 100 micron on the second to flush them. I leave the 100 micron just a little higher than the 53 in order to act as a backup overflow in case the 53 clogs. I currently use 2 different size BRT's, 32L & 58L depending on teh requirement. Last edited by PaulG on Sun Jan 10, 2010 7:42 am, edited 1 time in total. Wow! What a wonderful and functional set up! Andy, I like your design! My BRTs will all be hooked together on a flow-through system (albeit the water won't mix from one tub to the other), but right now they are on my kitchen table! Here is my latest...the BRTs have been drilled for a 1" bulkhead and standpipe. I installed white acrylic on the bottoms to easier see the larvae and judge greenwater tint. The bulkheads clamp the acrylic to the tubs. Heaters are VisiTherm 25W or 50W, clamp on lamps are used with 7.5 watt incandescent bulbs for mild glow which are swapped for 13W compact fluorescent as the larvae get older. My tubs are all Laguna brand from a pond store and are 7 gallon, 9 gallon, and 20 gallon. Pictured is a 9 gallon. Hey hi, I am a newbie to this forum. I have witnessed some really nice and very interesting threads here..was actually about to post my comment there but then thought why not to introduce myself first. 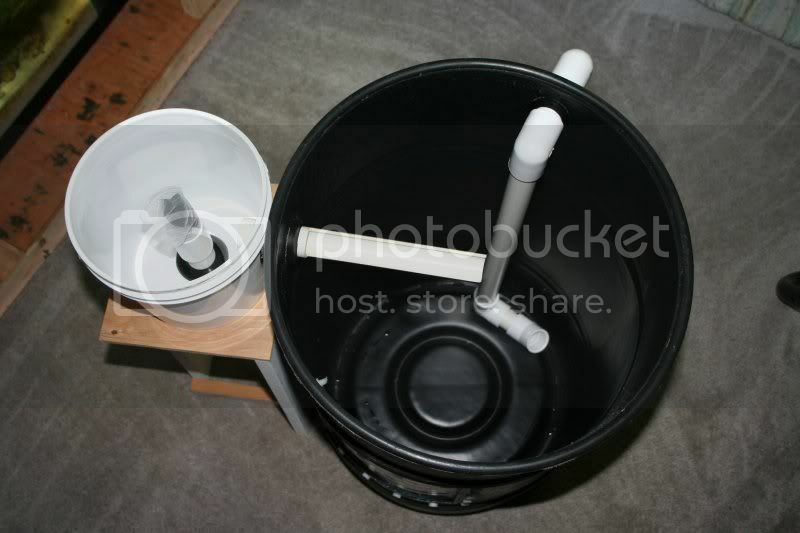 Current is slow and up-welling, clockwise, and 1/2 pipe at top directs eggs to collection bucket. I love building things as much as utilizing them. 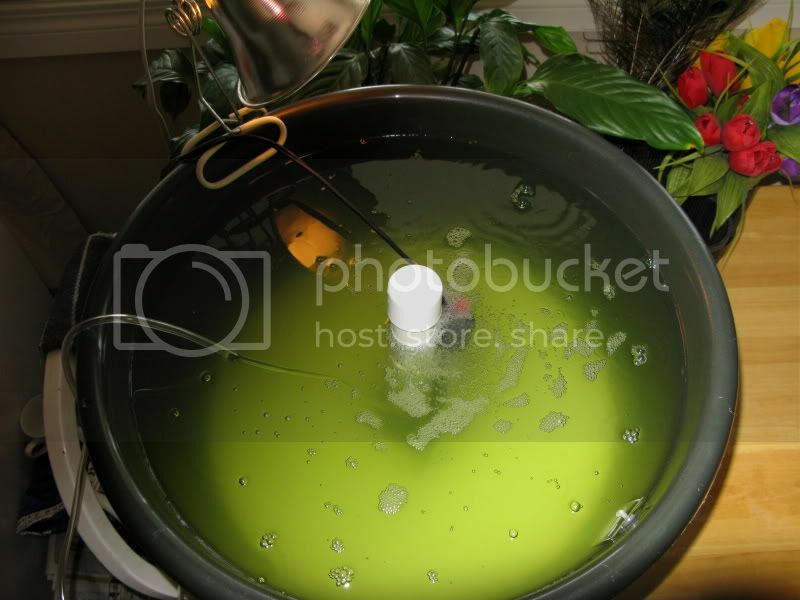 any micron mesh can be placed around strainer in egg catcher bucket. they are used for palegic spauners and also dotty backs. i am sure there are alot of other species also. The point of that system is that pelagic spawners, those that don't stick eggs somewhere but scatter them to the open seas, can breed and the eggs are taken away from the tank. Species like angelfish (Centropyge) will scatter eggs, they float to near the surface and the current automatically takes them into the collection bucket. Otherwise they are just snacks. Black Round Tubs (BRT) don't have to be black, or even round. But that's a convenient vessel to spawn and raise most fish in.